Q What is the G.E. Ski Club? A The G.E. 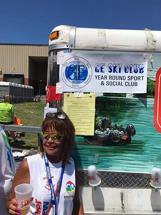 Ski Club is a year-round skiing, sports and social club from Utica New York. Q Do I have to work at G.E. to become a member? A No. Memberships are open to anyone. 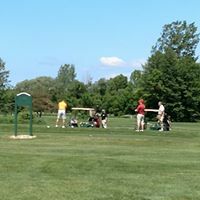 Junior (under 21) memberships are also available. Q What kind of skiing do you offer? A Downhill, cross country, and snowboarding. Q Do I need to be a good skier to join? A No, many of our members are novice and intermediate skiers. Q Do you offer other activities? A Yes. Bicycling, camping, canoeing, kayaking, tennis, volleyball, rollerblading, hiking, and winery touring. We also offer various parties and clambakes. Q I went to happy hour and no one was there? A Most members arrive about 6-6:30 PM. Q Do I need to go on an event to receive a local mountain discount. A No, Many of the local mountains offer discounts to GE Ski Club members anytime. Q How do I become a member? A You can join online, visit our membership page for more information. Or download the membership application form from the website. Print and mail to the club along with a check or bring to a general meeting. Q How much does membership cost? A New Memberships are only $10/yr and you receive a $10 discount voucher for club events. Renewing memberships are $25/yr. There is an optional additional $20 charge for printed and US mailed newsletters. Q Where do I get a membership application? A Membership applications are on the club website and in the newsletter. You can also join online. Just view our membership page for more information. Q What is the club mailing address? Q Do I have to be a member to go on a trip? Q How many members are in the club? Q Where do I send my membership application and payment? A PO Box 327, New Hartford NY 13413 or bring to a general meeting. Q Why should I join the club? A We offer a great time skiing with good rates on ski week, weekend, and day trips. In the summer months we offer many other activities. Q I want to go on a trip. What should I do? Q Where do I get a trip application? A Trip applications are on the club web site and in the newsletter. Q Can I write one check for membership and a trip payment? A No. You must write separate checks for membership and trips. Q Do you offer cross country skiing on your weekend ski bus trips? A Yes. Weekend ski bus trips also provide cross country skiing. Talk to the trip chairperson for details. Q Where do the trips leave from? A Check with each trip chairperson. Cross Country trip departures are at various locations. Be sure to check with trip chairperson. Q I don't have a roommate for the trip? A Contact the trip chairperson. Q I can not open the newsletter? A Be sure you have the latest version of Adobe Reader and try to download the newsletter from the club website again. Q Where do I get Adobe Reader? A It can be downloaded from the adobe.com site. Q I deleted the newsletter from my computer? A The latest and archived newsletters can be found on the club web site. Q I am not getting my e-mail news updates? A Send an e-mail message to geskinews-subscribe@geskiclub.org or contact the webmaster. Q I do not want to receive the e-mail news updates? A Send a e-mail message to geskinews-unsubscribe@geskiclub.org or contact the webmaster.